U.S. Sen. Ted Cruz formally endorsed U.S. Sen. John Cornyn Friday morning, as the state's senior senator gears up for his 2020 re-election campaign. "Today, I'm here to encourage you to do the same for my friend, Sen. John Cornyn, who worked very hard to support my re-election," Cruz said, adding that he and Cornyn make "a very strong team here in Washington." "I'm proud to have Ted's support, but we still have a lot of work to do," Cornyn said. "Ted and I fight shoulder to shoulder to make the country more like Texas. That's why it was critical he came out on top after Democrats put a target on his back and why I campaigned for him across our state." 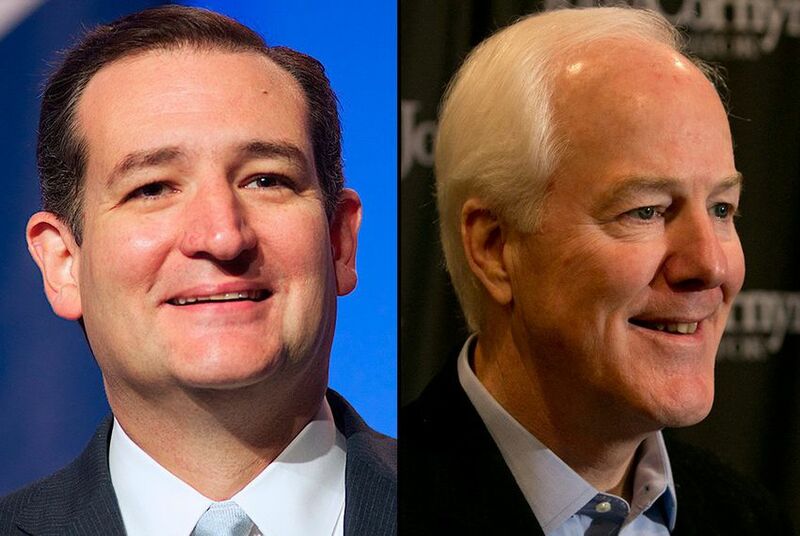 Cornyn and Cruz have not always endorsed each other. Cruz declined to back Cornyn in 2014 when he faced a primary challenge from then-U.S. Rep. Steve Stockman. Cruz said then that he was not getting involved in primaries involving his fellow senators. In September 2017, though, Cornyn reversed himself and gave his support to Cruz. During a joint interview at the Texas Tribune Festival, Cornyn said it was important for the state's senators to present a unified front in the wake of Hurricane Harvey, which had just hit the Texas coast. Cornyn pitched in as Cruz confronted an increasingly serious challenge from U.S. Rep. Beto O'Rourke, D-El Paso. Cornyn hosted an October fundraiser for Cruz in Washington, D.C., and joined Cruz for a number of stops on a statewide bus tour in the race's closing days.